A fireplace is a wonderful addition to any home. A leaning chimney, however, is not. It may seem like just an eyesore, but it really is a problem that needs to be taken care of it right away. It can also be a sign of a bigger problem that your foundation could be settling or failing. You need to contact Rapid Foundation Repair as soon as possible when you notice a leaning chimney. We can fix the chimney and look for other signs of foundation failure that are in need of foundation repair. Check and see which way the chimney leans. If it looks like it is going to fall away from your home, into your landscaping, this is likely a sign of a foundation problem. It is important to note that whatever way it is leaning you need to call an expert. A leaning chimney is a dangerous problem and must be taken seriously. The professionals at Rapid Foundation Repair provide the best foundation repair services. We offer an underpinning solution called helical piers. These piers can be introduced for support of your chimney. It will strengthen the chimney and stop it from leaning. A leaning chimney can occur from poor water management around the foundation of your home. 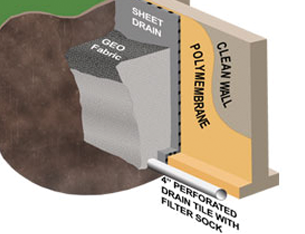 We offer a wide variety of interior drainage and exterior drainage systems that will control the water under your home and move water away from your foundation. We offer sump pumps and pits as well as vapor barriers all to help you manage the water in and around your home. When it comes to a leaning chimney, it is very important to manage the water around your foundation going forward. If you have the chimney repaired, it won’t do you much good if you don’t manage the soil and water around your home. Call Rapid Foundation Repair for our help finding you the best chimney repair solution but also for the best water management solution to keep your family safe in the future. Call us today for an estimate on your leaning chimney product. We can give you peace of mind! 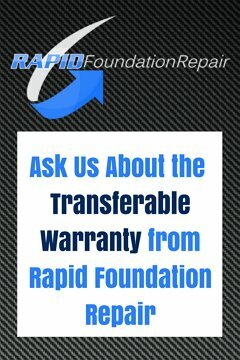 For all foundation repair concerns you might have, please call Rapid Foundation Repair today, we can help!